Did I give it away? 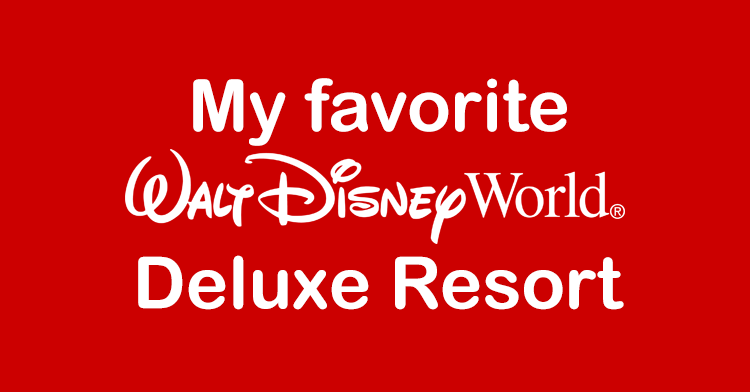 I have stayed at every single Walt Disney World Moderate Resort a few times, and while I think all four moderate resorts offer something to potential guests, one of the resorts sticks out as “the best”, Port Orleans French Quarter. Disney’s Port Orleans Resort – French Quarter opened in 1991, originally named “Disney’s Port Orleans Resort”. Dixie Landings, now known as Port Orleans Riverside, opened next door the following year. In the following years, the resorts were merged into one resort (Disney’s Port Orleans Resort), though you can book either Riverside or French Quarter, each side has their own lobby and your room will be in that side of the resort. 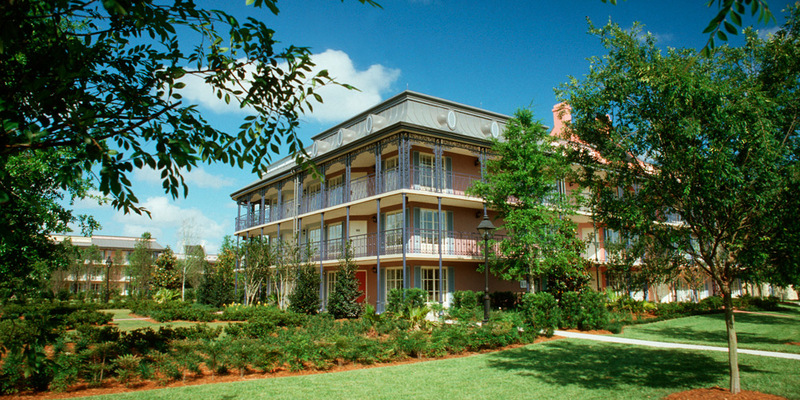 Port Orleans French Quarter now features 1,008 rooms, all of which are the same size and shape. The rooms feature two queen size beds, or a king bed for an extra fee. The only other room options at the resort is the view from the room or the bed options, though the view is poor, as the only window is next to the front door. The view options are standard view, garden view, river view and pool view. My opinion is to book the cheapest room available, as the rooms and locations are basically identical, though some of the river view and garden view rooms tend to be in more quiet locations. 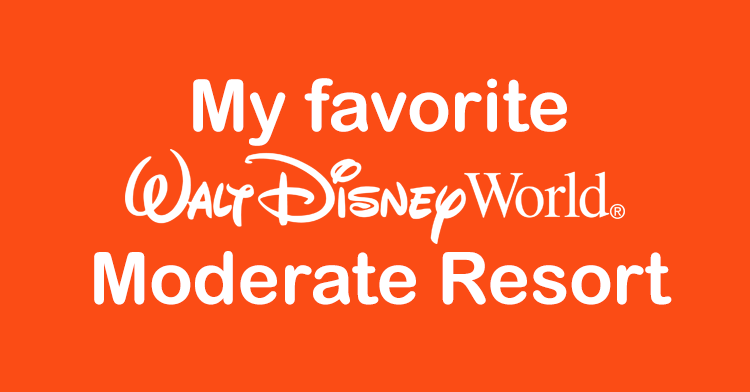 What about the other Moderate Resorts? I don’t really have a problem with the other moderate resorts, but they just aren’t as good as Port Orleans French Quarter. I actually really like two of the moderates almost as much as French Quarter, both Riverside and Coronado Springs are awesome resorts, but they do have a few downsides (or not as many upsides) as French Quarter. Port Orleans Riverside is the other side of the Port Orleans Resort, and features two distinct areas (Alligator Bayou and Magnolia Bend) as well as new Royal Guest Rooms (all located in the Magnolia Bend area). The swimming pool is on Ol’ Man Island, and is small, but quite fun. My only problem with Riverside is the size, it is quite large, with 2,048 rooms, it is more than double the size of Port Orleans French Quarter. Coronado Springs is also a great resort. Currently, Coronado Springs has 1,951 rooms spread out between 13 buildings, though Disney is currently in process of building a new 15 story tower which will add 500 rooms to the resort once completed. The tower will feature standard rooms, suites and concierge services, similar to a deluxe resort. Again, it is a very large resort, but it should be a great place to stay once the construction is done. Caribbean Beach is Disney World’s final moderate option. Currently, the resort is going through a major rehab, with the main building and pools being completely rebuilt. I have always considered Caribbean Beach to be the last option as a moderate resort, it is large, very spread out and the bus system is slow. Until the construction is completed, I would avoid Caribbean Beach. Maybe once all the facilities are updated, it may become a much better place to stay. What makes Port Orleans French Quarter Special? Small Resort – Port Orleans French Quarter is very small and manageable. About half the size of the other three moderate resorts, it just feels much more welcoming. The resort is also built in a very small area, so walking from even the furthest room is a fairly short walk to the bus stop or lobby. Disney Springs Water Taxi – While Disney buses may be efficient, there just isn’t anything quite like going somewhere by boat. Head out to the Sassagoula River boat launch, and grab a seat for the relaxing 10 minute ride to Disney Springs. The boats run from Riverside to French Quarter to Disney Springs and back, and you can ride as many times as you like for free! Pools! 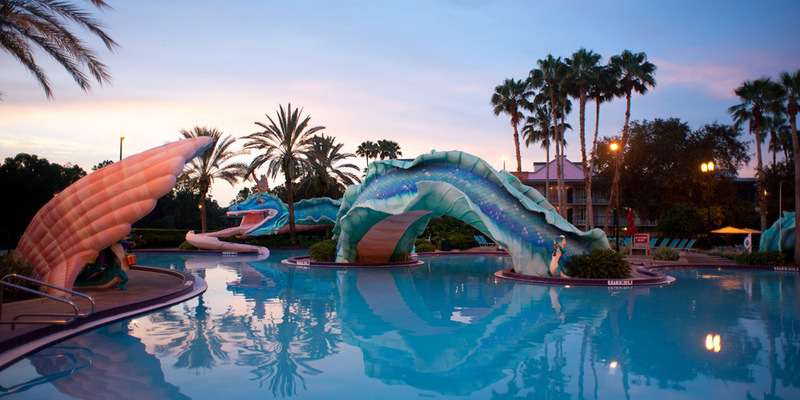 – French Quarter features the huge Doubloon Lagoon Pool which has an incredible Blue Serpent water slide. Sick of sliding down a blue serpent? 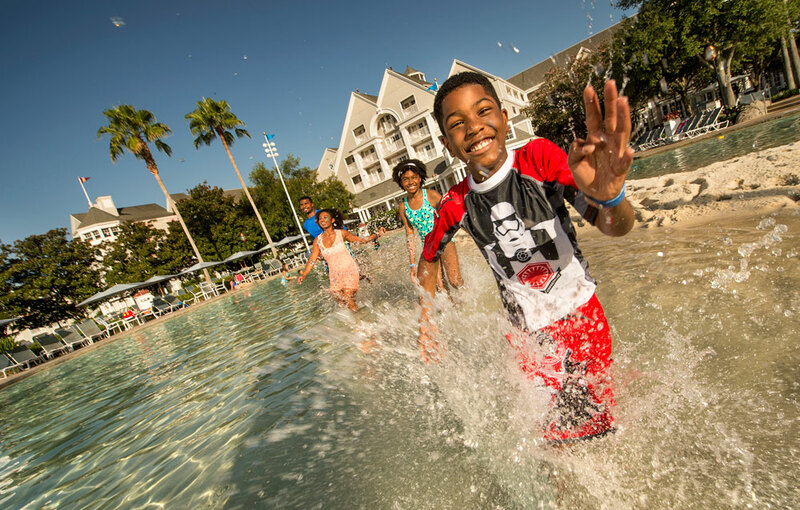 Take the short walk to Ol’ Man Island at Port Orleans Riverside and take a step back in the Ol’ Swimmin Hole. 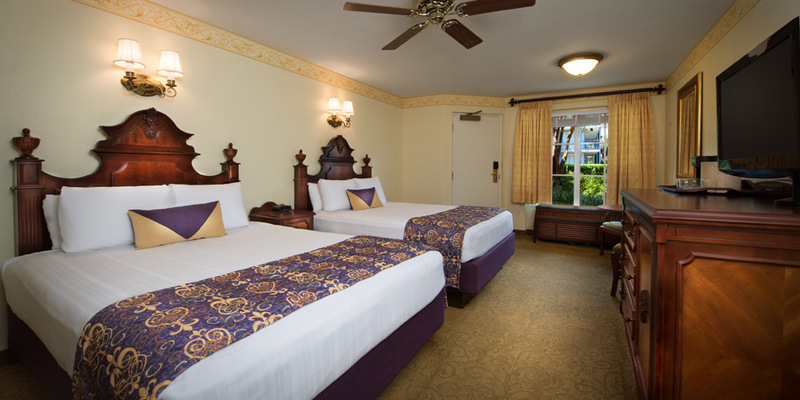 Standard Port Orleans Resort – French Quarter room with 2 queen beds. 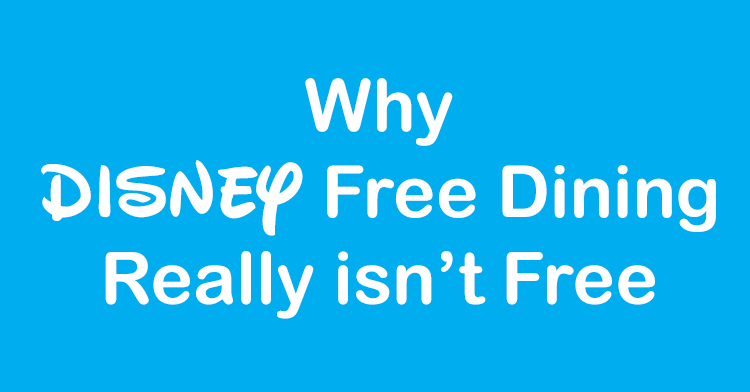 What are the downsides of Port Orleans French Quarter? 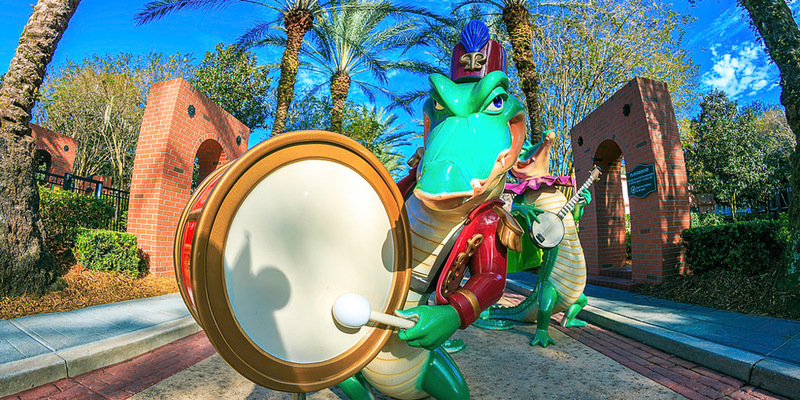 Few discounts – Due to the popularity, French Quarter is often excluded from many Disney World discounts, so it sometimes is more expensive staying here than at the other moderates. If excluded from a deal, look at Port Orleans Riverside, which is usually included and is a very similar resort. 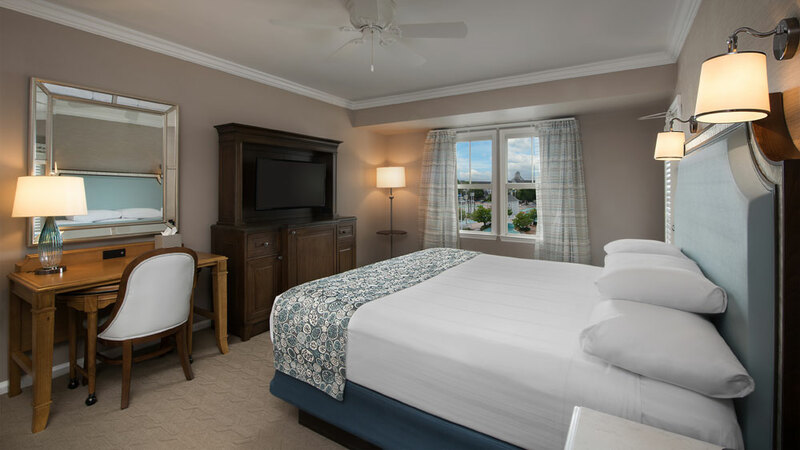 Rooms sleep 4 – Unfortunately, there is not an option at French Quarter to have a room that sleeps more than 4 people. Both Riverside and Caribbean Beach offer rooms that will sleep 5, while Coronado Springs has a few suite options for larger families. Hopefully in the future Disney will add different room types to French Quarter, or even better yet, build a moderate family suite hotel, similar to Art of Animation but a step up in quality. 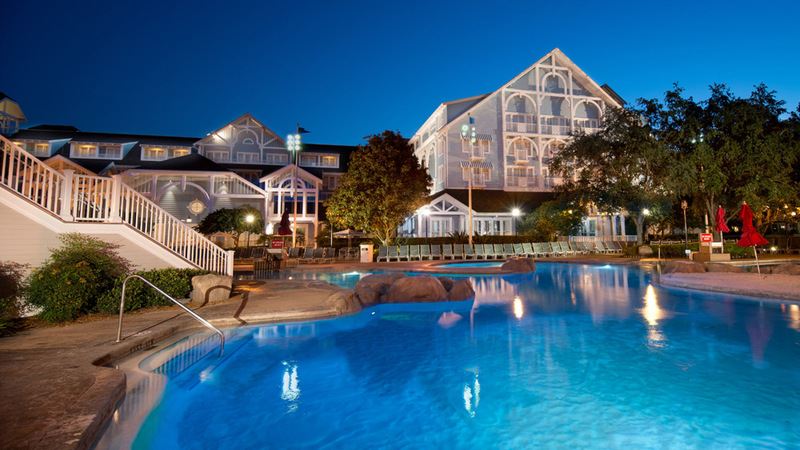 Have you stayed at Disney’s Port Orleans Resort – French Quarter?